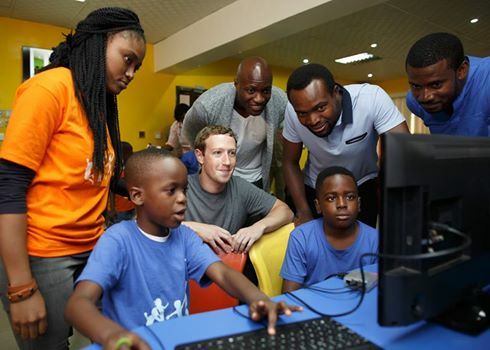 According to CNN Mark Zuckerberg has just made his first visit to ‘Sub-Sahara-Africa’ to witness the impact of his Facebook social media enterprise and to promote his Express WIFI internet service. For future reference someone ought to tell him that if you’re 54 billion dollar Golden Goose you don’t go walk about in Yaba. The area boys there will jump you, mug you and kidnap you – bodyguards or not! 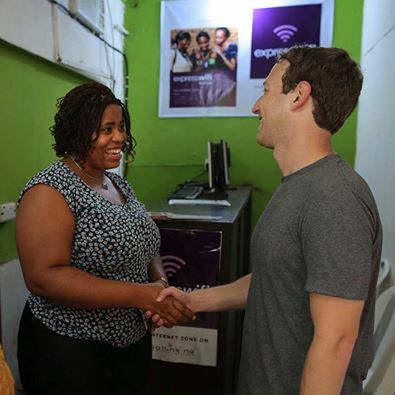 But yet again nobody probably told him that if you’re a Tech Giant in Nigeria ( – do we have any?) you’re supposed to arrive in an entourage comprising of gun-toting policemen, bullet-proof 4X4s, a bevy of hanger-ons – and of course the full red carpet treatment. Whilst we might be ‘fantastically corrupt’ as ex-PM British Cameron once referred to us, the world – and tech giants – are watching us carefully, especially our youths who are a dab hand at computers, coding and social media( – not forgetting the antics of the yahoo yahoo 419 boys for which we’re infamously known worldwide!). Nigeria has the largest online social media base and its growing, perpetuating every aspect of lives. Growth is greater in Africa than it is in the rest of the world. For marketers and developers this is paradise: a vast untapped market.